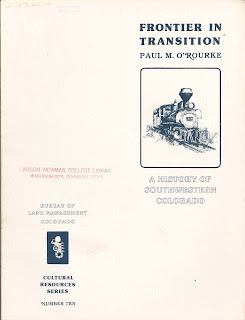 O'Rourke, Paul M. Frontier in Transition: A History of Southwestern Colorado. Denver: Colorado State Office, Bureau of Land Management, 1980. 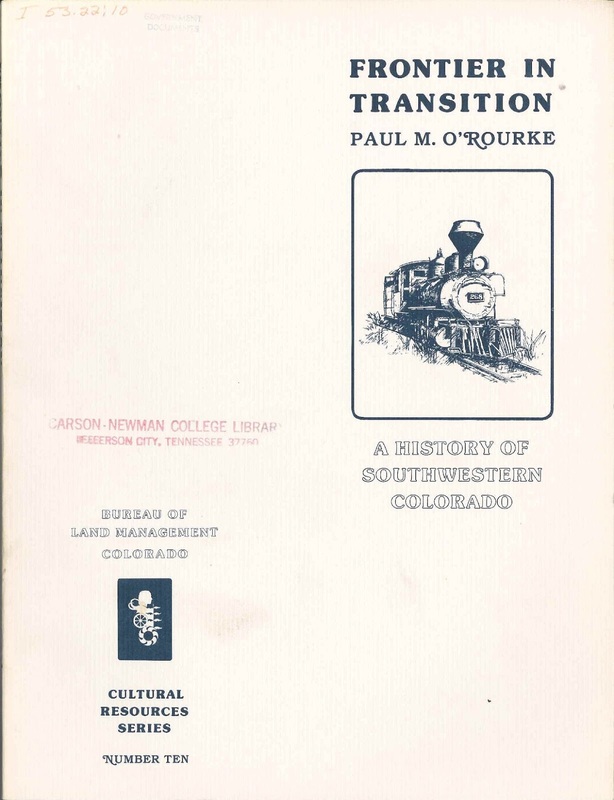 This volume is available at many Federal Depository libraries and online through the FDLP.